For each of the fundamental objectives, a set of sub-objectives and associated performance metrics (aka. evaluation criteria) have been articulated to facilitate the evaluation of monitoring efforts. The sub-objectives and associated performance metrics not only represent the core values (e.g. 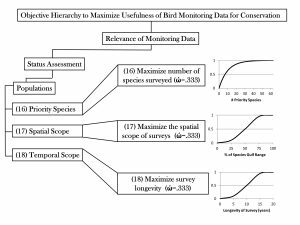 long-term data sets, reducing uncertainty, adaptive management, partnerships, etc.) 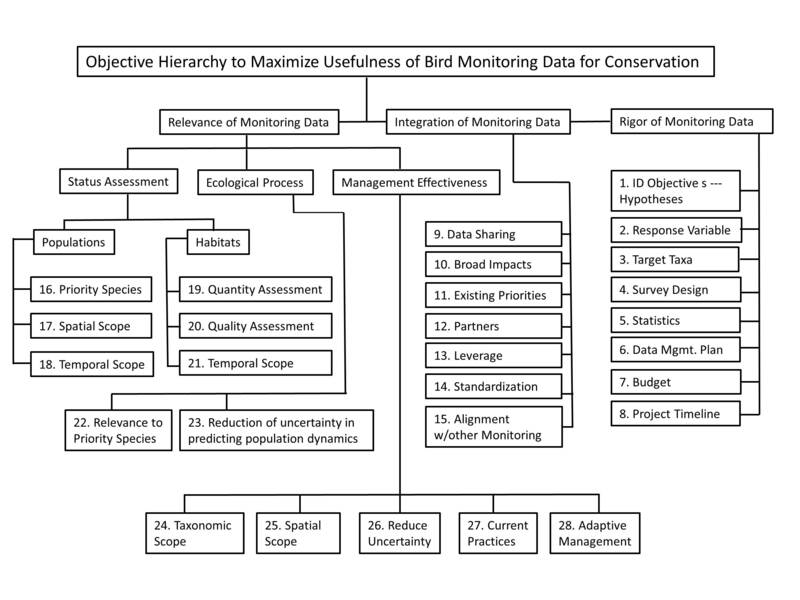 underpinning bird monitoring in the northern Gulf of Mexico but also offer a means of evaluating progress towards obtaining the core values (see below). Here, the sub-objectives are presented as an objective hierarchy to better depict structure and organization. A technical report that documents the developmental process, the objective hierarchy and associated performance metrics is under development. In the interim, please contact a member of the coordination committee or a working group leader for more information. Click image to view larger. Performance Metrics: Status Assessment Example Click image to view larger. 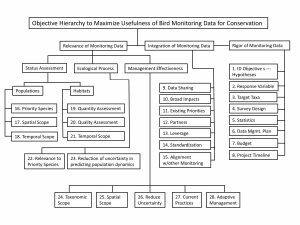 As referenced above, these performance metrics not only communicate the core values underpinning an avian monitoring program but also serve as evaluation criteria. 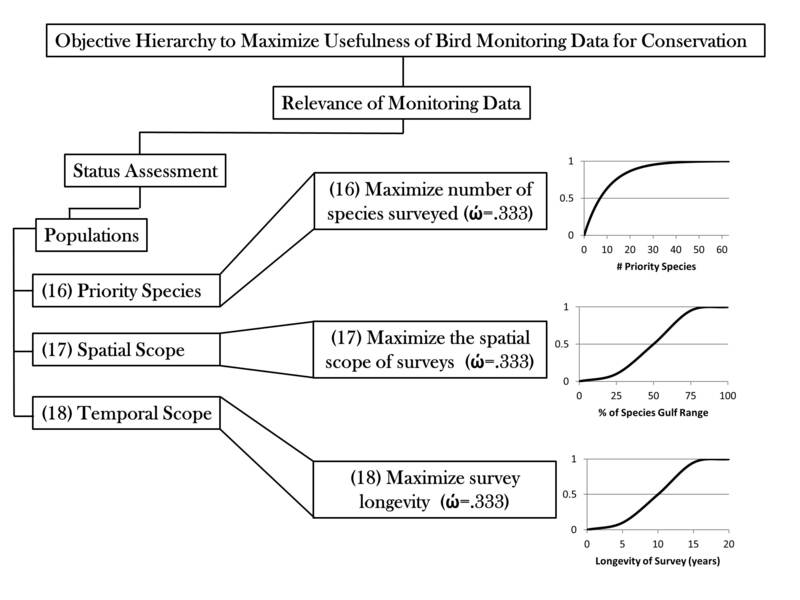 In this example for status assessment, the core values are reflected in baseline population surveys that: (1) covers a large number of priority species (>30 species); (2) surveys a large percentage of the Gulf-region (>75%); and (3) spans multiple years of data collection (>15 years). Additionally, each of the three metrics are equally weighted; thereby communicating the importance of all three metrics (core values) underpinning status assessment surveys.